Some of media and marketing's brightest operators were recognised in this year’s BRW Fast 100 and Fast Starter 100 list. Mumbrella speaks with some of this year's stars about the secrets to their success and their plans for 2017. While some businesses may be finding the going tough in the current advertising climate, BRW’s latest Fast 100 and Fast Starter 100 lists show that opportunities still abound for those willing to reinvent the model. As ever, independent players and those rooted in the mobile and technology space are well represented in the 2015/16 financial year lists. The companies named this year cover full-service agencies, creative, SEO and industry-specific businesses that all focus on clients, innovation and expansion. Mumbrella spoke to some of those who made the lists again this year to ask what had contributed to their success. The BRW Fast 100: The list is comprised of companies which began trading before July 1, 2012, and are Australian owned. Companies had to report revenues of at least $500,000 in the 2014/15 financial year to qualify, and entries are signed off by an independent auditor. The BRW Fast Starter 100: The list is comprised of companies which began trading on or after July 1, 2012, and are Australian owned. Companies report revenues of at least two financial years, and if this revenue exceeds $500,000 in 2014/15. Revenue for 2015/16 must be an increase from the previous financial year. 2 – Tech Mpire Limited – WA/Canada based online and mobile marketing solutions provider: Revenue $32.12m; Growth 171.1%; Employees 53. Started just two years ago in Western Australia, the performance based marketing company also has a base in Toronto and has almost doubled its growth since the last financial year. The company works as an intermediary between advertiser clients and marketing affiliates, using its own cloud-based software platform ‘nxus’ to provide real-time tracking, analytics and data for online advertising. The business earns commission only when results are met, billing advertising and paying marketing affiliates following the result. Managing director of Tech Mpire, Luke Taylor, attributed the company’s quick revenue growth to its global approach, motivated team and commitment to innovation. “To maximise growth potential, we’ve been focused on the global market since our business began. The online nature of our business means we aren’t restricted by geography,” Taylor said. Taylor said the business takes a “strategic approach to recruitment”, hiring people who align with the company’s culture not just in skills, which also contributes to its success. Speaking on the topic of innovation, Taylor said: “This team is constantly taking the pulse of the industry and feeding that into product improvements and augmentations. Innovation is at the crux of what we do at Mpire. “We are continuously evolving and delivering increasing value to existing clients while also building our capacity to serve new segments. 10 – Noisy Beast – Full service independent advertising agency: Revenue $16.9m; Growth 46.3%, Employees 40. The Melbourne-based business is, in many ways the house that Swisse built, with the growth of the agency mirroring that of its largest client. It began with an unlikely mix of media and advertising talent with former Network Ten commercial director Adam Hilton, creative director Stewart Byfield and ex-Nine executive Paul Waldren coming together in 2012 under the premise that brands can appear bigger than their budgets allow. Swisse’s push into overseas markets last year also provided an expansion opportunity for the agency, which opened offices in London and China alongside it. Noisy Beast attributed its success to a high-impact sponsorship model, the latest example of which being the Swisse Rio Olympic campaign. 31 – Online Marketing Gurus – Internet marketing service: Revenue $6.28m; Growth 149.1%; Employees more than 50. With bases in Sydney, Melbourne and the United States, Online Marketing Gurus almost doubled its growth in the past financial year. The company has a metric focus, designing customised SEO and content marketing strategies to expand clients’ online presence. Working for the likes of Coca-Cola, Peters of Kensington and Baku Australia, Online Marketing Gurus use a full service team to offer analytics and data that help brands ensure online success. “From what I understand we are the only company in Australia that has a research development department which has test sites, tests Google’s algorithm updates and then applies them to our clients. We are constantly looking at ways we can improve our service via testing platforms and we also have our own build of tools to help the process become a lot easier,” Raso added. The company is expected to expand into different global markets in the new year. 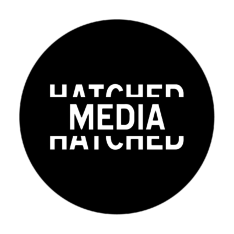 38 – Hatched Media – specialised media agency: Revenue $5.2m; Growth 36.6%; 14 employees. The Melbourne-based agency opened its doors in 2013 and has since won clients including Dairy Australia, Sensis and Boost Juice. As an independent media agency, Hatched Media focuses on research, SEM insights and social media strategy. Jack Byrne, managing director, said: “The business is founded on the principle that if all media agencies are the same, with the same access to data, analytics and strategy, then surely the defining trait of an agency are the people within it. 45 – Brus Media – Brisbane and Sydney based performance mobile network agency: Revenue $4.43m; Growth 87.9%; Employees 8. Opening in 2012, Brus Media are a mobile marketing firm that delivers advertising solutions for mobile apps. The company uses direct, network and programmatic supply from across the world to generate results for mobile application businesses, and charge on a cost-per-install and cost-per-engagement basis. Brus Media’s biggest clients are Expedia, Amazon.com, and Domain. 61 – Digilante – Sydney based digital creative agency: Revenue $2.77m; Growth 53.9%; Employees 13. Debuting at #92 on the 2015 Fast Starters 100, the “non-agency agency” is back again in 2016. Using a digital first approach, the company challenges expectations by breaking down and disrupting traditional digital models. The company boasts clients including Subaru and the City of Sydney, and previous work includes a 2015 campaign for Sydney’s Chinese New Year celebrations. 64 – Supple Solutions – Sydney and Melbourne based digital marketing company: Revenue $2.57m; Growth 66.9%; Employees 21. Launching in 2012, in its first year, Supple grew its client base from 0 to more than 100 and made Deloitte’s Fast 50 by 2015, reporting 853% growth in the 2014/15 financial year. Supple is the official partner of Google Partner and an official affiliate of AFL team Hawthorn Hawks. 69 – Indago Digital – Sydney based digital marketing agency: Revenue $2.28m; Growth: 181.2%; Employees 16. Launching in 2015, the company made its debut in the Fast Starts List this year, with clients such as Hudson Homes, Carsguide.com and Anytime Australia helping them along the way. The company has seen 181.2% growth since its birth and is now moving its office to Surry Hills where it can continue to expand. 70 – Flagship Digital – Gold Coast based digital agency: Revenue $2.13m; Growth 25.7%; Employees 16. The Queensland-based company is divided into two arms – ‘lead generation’ which focuses on SEO and ‘branding creative’ which delivers design-based solutions. Previous clients include Westfield, Virgin Money, Telstra and Australian Red Cross. 71 – Digital Elder – Melbourne-based digital marketing agency: Revenue $2.03m; Growth 2.6%; Employees 18. A search specialist, Digital Elder uses SEM to deliver online advertising. The business uses its own marketing platform to track online performance for clients. 12 – Sandbox Media – Sydney-based media agency: Revenue $18.46m; Growth 139%; Employees 8. The Northern Beaches-based agency began in 2011, focusing specifically on direct representatives within media organisations. The team’s sales background comes from previous experience with large entertainment channels including MTV, Nine and Ten as well as publishers such as Fairfax Media. Paul Brennan, general manager at Sandbox Media, said the agency’s biggest point of different in the industry was its team. “I think our biggest point of difference is that we all work in media, so it give us a greater understanding of how the back-end of media works,” Brennan said. The agency was built solely on client referrals, its growth consistent with its current client base and its marketing expenditure. Brennan said the agency plans to expand as long as it is sustainable and allows the team to look after its current client base. 14 – The Performance Factory – digital performance marketing agency: Revenue $11.63m; Growth 112.9%; Employees 4. Ranked 72 on the BRW Fast Starters in 2014, the digital marketing agency resurfaced in the 2015/16 financial year as the fastest-growing digital marketing business in Australia. The company was bought by Mobile Embrace in 2014 and focuses on customer acquisition for its clients through digital channels, performance marketing strategy and multi-channel campaign execution, which is completed via in-house ad networks and databases. Andrew Kilday, founder and CEO at The Performance Factory, said in a release: “Whilst market conditions have been challenging, we’ve stuck to what we do best without getting side-tracked. We have continued to generate record levels of quality customers, consistently delivering better results from our clients’ marketing spend. Kilday attributed part of the company’s success to its acquisition channels: “For us to make 14, further proves that more businesses are looking for better, measurable results and shying away from traditional media channels to where we can deliver ROI for every dollar spent. The Performance Factory’s clients include NAB, ANZ, Flight Centre and Nickelodeon. 39 – Digital360 – Victoria-based digital agency: Revenue – $3.32m; Growth 68.7%; Employees 24. Launched in 2012, Digital360 has focused on data-driven digital strategy, using its own technology platform to facilitate its work for clients. The company directive is to focus on digital integration across the entire business model, rather than as a sole component. Adam Laurie, managing director of Digital360 said a focus on building businesses and client satisfaction rather than acquisition has allowed the company to succeed in its four years. “We’re interested in building businesses,” Laurie said. Laurie told Mumbrella the company’s capability as a full service agency was a “major stand-out”. When asked about future expansion, he added: “We are 100% looking to expand. We’ve grown probably 10 (people) in the last year alone. We have been low profile and stayed under the radar but that changes when you do start to get more presence; your growth starts to pick up quicker. The agency is updating it’s technology platform in 2017. 41 – Red Engine Strategy Content Creative – content marketing agency: Revenue $3.47m; Growth 68.4% ; Employees 27. Founded in 2011, Red Engine SCC is a content marketing agency that focuses on all areas of content – strategy, creative, video production, social and search. The company’s major clients include Telstra, Commonwealth Bank and Pepsico. 65 – Jack Media – Byron Bay ad tech company: Revenue $9.17m; Growth 51.8%, Employees 12. It was No.37 on the Fast Starter 100 last year and in its fifth year it has grown again, clocking in with $9.17m revenue in 2016. The company builds digital solutions for clients based on a pay-per-performance basis. Co-founder Andy Crawley told Mumbrella last year the company’s growth was attributed to “business culture and hard work,” and the company’s success in working with clients. Jack Media initially began in Sydney but moved to Byron three years ago. 67 – Letterbox Media – Australia-wide leaflet distributing service: Revenue $17.66m; Growth – 51.5%; Employees 24. Letterbox Media has targeted consumers since 2009 in a traditional way – through the letterbox. The Annual Catalogue Industry Report 2014/15 found that 99% of consumers check their letterbox daily and, for this reason, Letterbox media continues to create mail advertising for its clients. While other company’s focus on digital advertising, Letterbox Media uses three products that are delivered to your mailbox to target consumers: Letterbox deals; Letterbox direct; and Yellow Envelope are delivered to four million homes every year and was engaged with by 77% of consumers in 2015. Australia Post contracts all distribution. 74 – The Royals – Melbourne and Sydney based creative agency: Revenue – $7.44m; Growth 49.8%; Employees 47. The “most interested agency in the world” made it to the Fast 100 list this year after making last year’s Fast Starter list at 45. The company has been around for almost five years, this year adding 10 new clients, including Mercedes-Benz commercial, Shine Lawyers, Melbourne Racing Club, Sara Lee and Film Victoria. The Royals also expanded its team, with 25 new members of staff. Dan Beaumont, managing partner at The Royals, said: “It’s always nice to be recognised for legitimate business success. “We’ve designed the group to be the right type of communications company for clients in the post-digital era. Coupled with our mission to be ‘the most interested agency in the world’, by employing people who are fuelled by passion and curiosity, it’s a potent combination for growth and success – not just for our business but, more importantly, for our clients’ business. 92 – Cummins & Partners – Australian independent creative/media agency: Revenue $27.46m; Growth 40.6%; Employees 162. Crowned agency of the year at the 2016 Mumbrella Awards, Cummins & Partners provides both media and creative services to its clients, aiming to develop “enduring brand platforms that drive action”. Cummins & Partners clients include AFL, Jeep, Tennis Australia and the creative account for John West Tuna, which it won earlier this year. I may have missed it but can you add a link to the full lists?